£50 to secure booking (non refundable) and full payment 6 weeks before the start of holiday. £50 bond payable on arrival which will be returned on departure if there are no damages and the caravan is in a clean condition. Electric blankets and hit water bottles are used at guest's own risk. All guests must respect the holiday park's booking conditions. 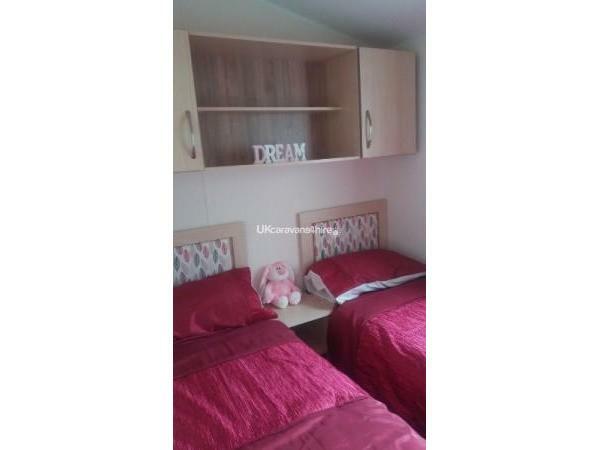 This is a lovely three bedroom caravan on Lido Beach holiday park. 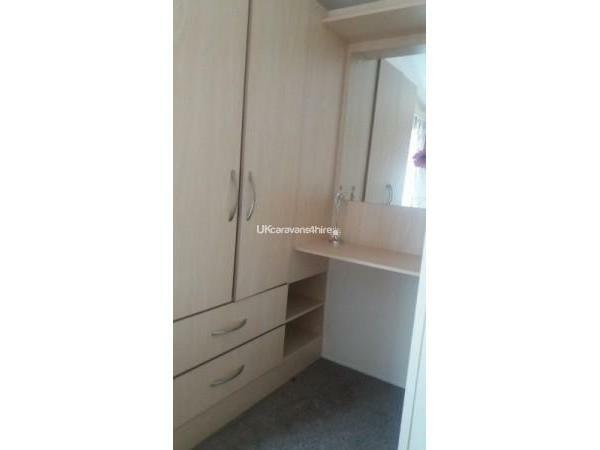 It is sited on a spacious green and is close to the children's play area. 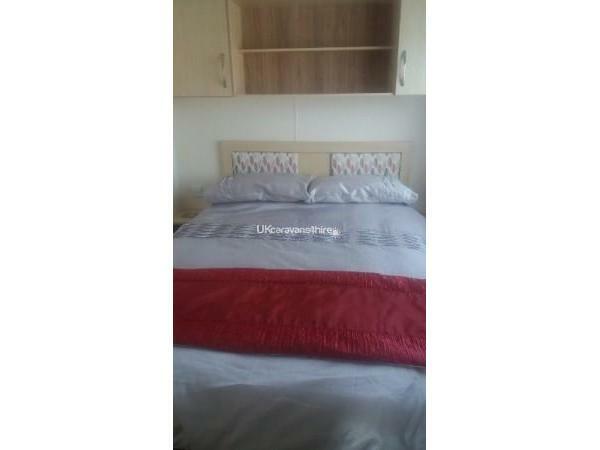 There is a large double bedroom which has en suite toilet, two twin bedrooms and a bathroom with shower and toilet. The large living area sleeps two more people on a pull out double bed. Outside there is a large decking area with comfortable settee and small table and chairs and on the patio area there is a large dining table with sunshade. There is also a separate decking area to the front of the caravan with table and chairs. With central heating, double glazing and full size oven you will be very comfortable. It has every convenience of home. Duvets and pillows are provided but please bring your own bed linen , towels and tea towels. 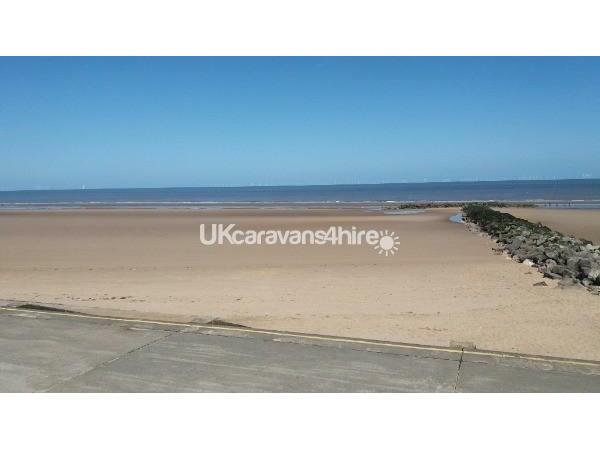 The site has direct access to the beach and the town centre with it's train and bus stations, is a short walk away. We are situated close to reception with it's cafe and the site side entrance which leads to the beach where there is the newly refurbished Nova Centre which has an indoor swimming pool, soft play area, cafe and bar. Next to this is crazy golf, children's parks, cafes and an arcade area. Short breaks are available upon request. Additional Info: Children's play area. Soft ball court. Cafe.